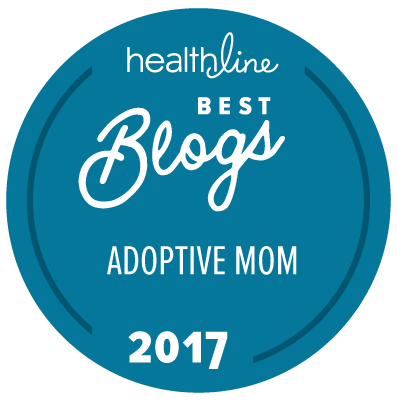 You may not believe it by reading that headline, but our blog, which is mainly about how amazing and beautiful adoption and foster parenting is, has come under fire. A lot, actually. Finally, we’re breaking our silence and responding. It’s not kidnapping. It’s just not. Before I continue, I must say this: there are some people who have experienced a lot of hurt as a result of the adoptive journey. Some have had their children removed unfairly. Some have consented to an adoption only to have the post adoption plan change. A very good friend of ours was forced to place her baby for adoption as a teenager, she didn’t have any rights. These stories are heartbreaking. But that isn’t what we are talking about here. Not even kidding with any of these. It’s actually taken us a very, very long time to break our silence over some of the accusations we’ve received in recent years (By the way, you did read that right…. “Accusations!”). They’ve come by the hundreds…maybe even thousands by now. They mostly come from online groups who have an agenda against adoption or fostering. They come through our Facebook Page, in our blog comments, and even into our email inbox. Most of the time, they’re negative, attacking, accusing, and down right mean-spirited. There’s usually no attempt to open a healthy discussion or understand one another. Often we have civil, respectful, honest conversations with people from all perspectives and we love that. We welcome this, but we won’t engage in attacks, or verbal abuse online. Kristin and I have stayed silent (for the most part), refused to engage online, or fire back because….well….it’s the internet. The internet allows people to say things they would never say to your face (probably). It allows people to take on personas that are very different from their actual selves (usually). The internet breeds cowardice. And frankly, cowardice is not worth our time. There’s so much good we can do through this powerful tool beginning with 3 w’s. So much love we can spread and understanding of one another we can gain if we would just stop the nastiness. And with a world hell-bent on spreading hate right now…why would we engage in futile discussions about something that just isn’t true? “Our hearts break for you.” Fact is, there are deep wounds in some of these people and we recognize that. Here us when we say this. Our hearts BREAK for you (if you’re reading this). We know some of you have experienced things in the foster care system, or through the adoption process, that left you deeply wounded and traumatized. We can see the small print of some of your stories and we know that you’ve been hurt. Because of this, we hurt for you. Some of you wanted to care for your children but a decision was made for you that you did not want to make. That’s hard stuff and therefore, we have compassion. But…. We’re not evil people! In fact, allow me to speak on behalf of our blog and Facebook audience: they are beautiful, loving, compassionate, caring people who love children from hard places. They fight for the heart of their children. They believe in them, in fact. They didn’t make the choice to have a child removed, or abused, or neglected, but they stepped up when they were needed the most. That’s not the face of evil. That’s the epitome of good! Also- we mean no harm what-so-ever in choosing to foster or adopt. We believe in our kiddos, and we take our responsibility to parent them seriously. This brings up another point…. Many of us were chosen. That’s right…chosen by birth parents to care for and parent their children. A couple of times, with a few of our posts, we’ve been accused of kidnapping our children. We’ve been told that we stole our children from their birth mothers. Truth is….several of our children’s birth parents chose us. Yes, actually pointed their finger our way and said, “Them. I want them to raise my baby.” That’s not stealing, that’s choosing. I feel silly typing these words. I really do. What I want to fire back with is, “Really? Steal? MY children? Do you really think I could get away with that? But, I restrain myself. I understand that out of deep emotional pain, painful and hurtful words are often spoken. (PS- readers, keep that in mind the next time you are attacked online). But, this is just not an accusation that has any merit. We were chosen to care for our kiddos, and we love them deeply. In some of our foster care situations, we hoped and prayed for reunification (because that’s always the #1 goal of foster care), but the plan changed because a birth parent wasn’t capable of caring for their children. Where would the child have ended up then? Some may say next-of-kin, and that’s true. But that’s not always the better or healthier option. Sometimes it is, but sometimes it’s not. If it is, we’re all for it and we’ll cheer it on. But if not, we’re all for the safety and well-being of the child. Some of our children were in dangerous situations before coming into care. One of the groups that routinely attacks us is a group who believes children are better off with the parent’s who gave birth to them, period, regardless of the circumstances. Again, we understand the reasoning behind this and our heart is compassionate toward them because they’ve experienced great loss. Not an easy thing, no matter the circumstance. But the fact is, a lot of foster and adoptive parents are providing safe, warm, and nurturing homes for children who were in dangerous, even deadly, situations before coming into care with another family. Many children were removed by a case worker because of extreme abuse, neglect, domestic violence, etc. Remaining in the home with a volatile birth parent was not the best, or safest, option. That was the story for one of our children. A case manager made a decision, not because she didn’t care about a birth parent, but because she had the best interest of our child in mind. We love our kids and we love their birth families. Period, end of story! We would bleed ourselves dry for any of our children. And we would do whatever we could to help and care for a birth parent (we have before and we certainly would do it again!). There’s no hidden agenda behind us choosing to adopt or foster. We are led by our hearts on this one and you better believe follow faithfully for the sake of our kids. Believe me when I say this: I would love to open up a healthy, productive, non-accusatory conversation with anyone who disagrees with, or has a negative perspective on foster care or adoption. That’s one of the beautiful gifts of the internet. You can actually connect with people from all over the world, learn about one another, discover each other’s beliefs, AND continue to get along. But if we can’t have a productive, cordial, healthy conversation over this topic then we can’t connect. The love, encouragement, and camaraderie we share with one another through our blog and Facebook page is more important than proving a point, or winning an argument. Question: We would love to hear your thoughts on this topic. Leave a comment in the comment section below this post. You can leave a comment by clicking here.